Partners in the EU Funded APP TOUR YOU Project consortium present an online course for small businesses in the tourism sector, addressing how to cater for tourists with specific access requirements. Registration is open to all and free of charge for a period of 8 weeks from 16 January 2017. Funding for the project is provided by the European Union ERASMUS+ Programme. from 16th January to 15th March 2017. You can join now or at any time throughout the 8 week period. 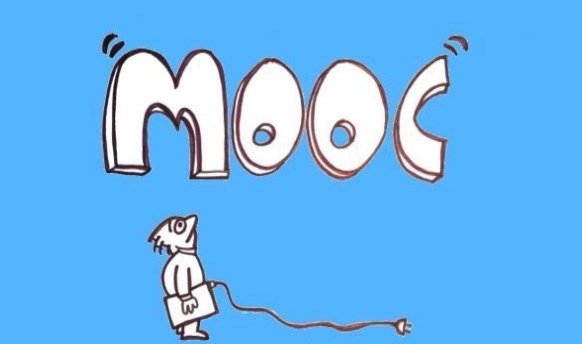 The MOOC consists of 4 learning modules, each of 2 weeks’ duration. Trainees are expected to commit 6 hours per week to their online learning, while the course material extends to many more hours of study for those who wish to go further. The MOOC is designed as a multi-modal, interactive course with content drawn from best practice examples in Accessible Tourism practices, publications and specially prepared videos and presentations. Participants can choose their own “learning path” and work at their own pace. As a trainee you will be able to join the ATY MOOC social media forums and take part in four “Webinars” (live-streamed online “Google Hangouts” seminars on YouTube). Here, themes and questions will be introduced and trainees will have the possibility to chat with experts and tutors/facilitators. Tandem is the coordinator of App Tour You. It is a social cooperative for the job insertion of people with disabilities, born in 1997 from a European project on tourism. It is expert in development of contact centers on disability issues and, accessible tourism information services and training. Tandem has developed and participated in many European projects in the field of accessibility, inclusion, and tourism for all. ASM -Market Research and Analysis Centre is a private non-profit research SME founded in 1996 and specialized in socio-economic, market and business research and analysis. The company has extensive experience in both quantitative and qualitative research where quality is ensured by annual audit coordinated by Polish Association of Public Opinion and Marketing Research Firms. ASM is also a leader in the field of market research for the construction sector in Poland; a member of the European Construction Technology Platform and the coordinator of the Polish Construction Technology Platform. ASM has been Involved in projects connected with the training approach in the tourism sector, as well as the ICT & Ageing area. In 2011ASM was granted the status of a Research and Development Centre by the Polish Minister of Economy. ENAT, the European Network for Accessible Tourism is a Belgian non-profit association, founded in 2008. Its mission is to make European tourism destinations, products and services accessible to all visitors and to help promote Accessible Tourism around the world. The website, www.accessibletourism.org is the Internet site of ENAT, holding over 2000 pages of items with more than 3000 documents, 100+ projects and good practices and 100+ global links related to Accessible Tourism. It is the largest Global resource base on accessible tourism in one website. ENAT also manages Pantou the European Accessible Tourism Directory, an online register of accessible tourism suppliers from across Europe. Directorate General for Tourism is the body of the Government of Catalonia responsible for designing, coordinating and implementing tourist policies, developing planning tools, ordering and controlling tourist establishments, coordinating activities related to the analysis, the study, the knowledge, the research and the definition of strategies of tourism sector, enforcing inspection, sanction and tourism discipline authority related to the tourist establishments, and business and tourism activities. INCIPIT Consulting Soc. Coop. is a company formed in 2014 by a team of six professionals who have been operating in the field of tourism since the mid ’80s as researchers and trainers with both academic expertise and business knowledge. Leveraging the extensive experience gained by its members, Incipit Consulting conducts research studies and offers innovative and customized training and consultancy services to businesses and institutions operating in the tourism sector. Institute and travel agency “Premiki” is social entreprise dedicated to persons with disabilities, their families and friends. We believe in the concept “tourism for all”, where disability, age and other circumstances only challenge us on the way to create better, more inclusive and equitable everyday life. Download this page in PDF Format from the right-hand panel. Disclaimer: This webpage reflects the views only of the authors, and the Education, Audiovisual and Culture Executive Agency and the European Commission cannot be held responsible for any use which may be made of the information contained therein.